Congrats to the winners. I know you’ll enjoy your winnings (I’ve got a special necklace from Becky too). Love your necklace Becky, I’m going to get out my jewelry things to play, now that I’ve finished my quilts. Just watching some Christmas cheer-Elf. Becky, I’ll be eager waiting to see more of your inspirational art! congratulations to the lucky winners! 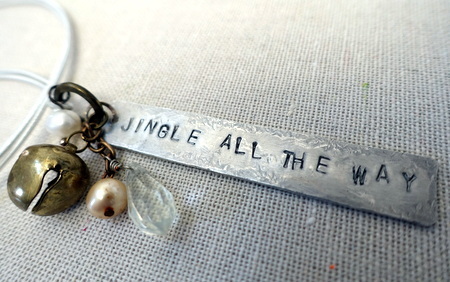 I “know” Joy for some years through blogging and art swaps and she will be thrilled to have won the necklace. May the joy and love of the season shine upon you each and every day.